Concentrates are becoming increasingly popular in Colorado dispensaries, and we can see why Green Dot Labs’ Sap, Shatter and Sugar are among the most coveted. Green Dot grown BHO extracted concentrate is chock full of delicious terpenes. From seed to sap, Green Dot Labs takes every measure to ensure strains are pure, plants are vigorous and healthy, and their extracts are clean. Green Dot Labs is the only Cannabis extract company that can guarantee hash oils free of residual solvents, safely and responsibly processed. 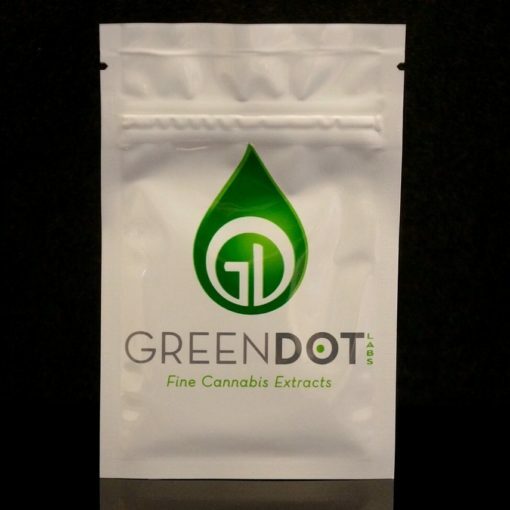 Every single gram of Green Dot Labs extracts are made with full plants, not trim, meaning more flavor and more medicinal benefit for the consumer. Green Dot Labs’ sap is an extracted and bonded cannabis oil that does not retain the harsh qualities of plant materials and waxes. However, not all plants will not create a sap-like consistency. Green Dot Labs products that aren’t perfect for Sap are still purged of any residual solvents and then are cured to create a more sugar-like hash oil product, another Good Chemistry customer favorite!